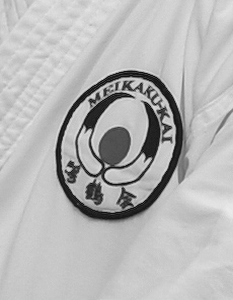 If there are some questions about the club MEIKAKU-KAI or about the Aiki, please do not hesitate to write to us. Direct questions to the Grand Master (shihan), because of the lingual barrier, also should be through this site. Let us try to answer as soon as possible. At present, so many people around the world have the interest in Japanese culture and the combat skills as Aikido (in particular). More and more people try to visit Japan, instead of the traditional places of leisure elsewhere in the world. If you intend to have your vacation in Japan and plan to visit Kyoto city, why don’t you visit our head dojyo and watch the Aiki trainings! Then your knowledge about the Japanese culture would be more completed by the impressions you might have. We do welcome all of you! Our dojyo is located three minutes’ walk from the well known Kyoto shinto shrine FUSIMI INARI. But there is one condition! The chance to observe the trainings will be provided only for the people having polite interest in the Japanese combat skills. For the idle tourists, there’s only this request: “Do not disturb”. Also during your visit in the dojyo, the modest behavior and the observance of Japanese etiquette are strictly required! At the end, there is one additional request. Please let us know about your visit in advance (since your visit might not match with the timetable of our trainings). Please get in contact with us on the contact options written in the footer.